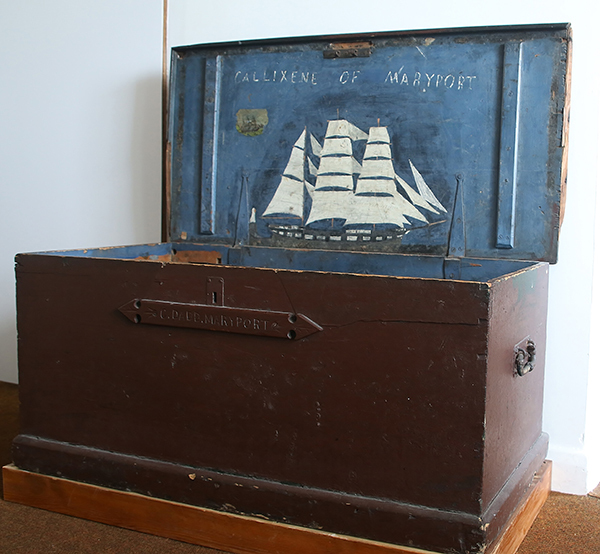 The displays include the history of Maryport's Lifeboat and the Maryport and Carlisle Railway, which was laid out by George Stephenson. This was the first railway promoted entirely from within Cumbria and was needed to convey coal from the many collieries in the surrounding area to Maryport’s docks, ready for export to Ireland. When in town, Stephenson stayed at The Golden Lion Hotel, opposite the museum. 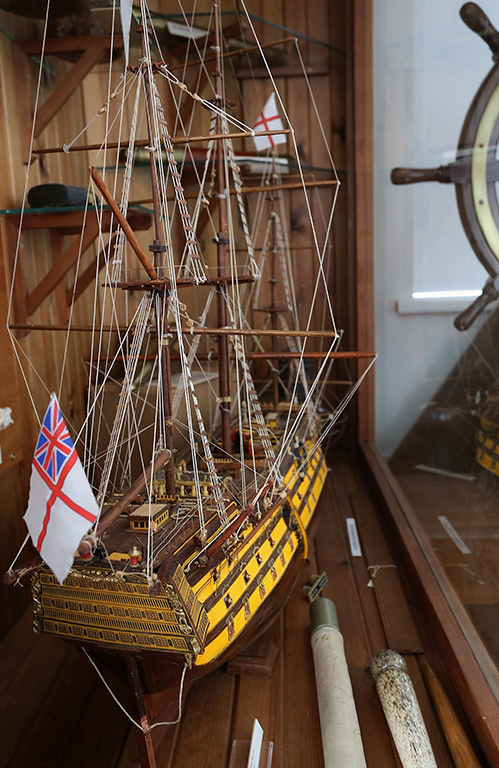 There are exhibits on sail making and ship building, as well as detailed models of sailing ships including the Victory, Bounty and HMS Unicorn and various maritime objects. 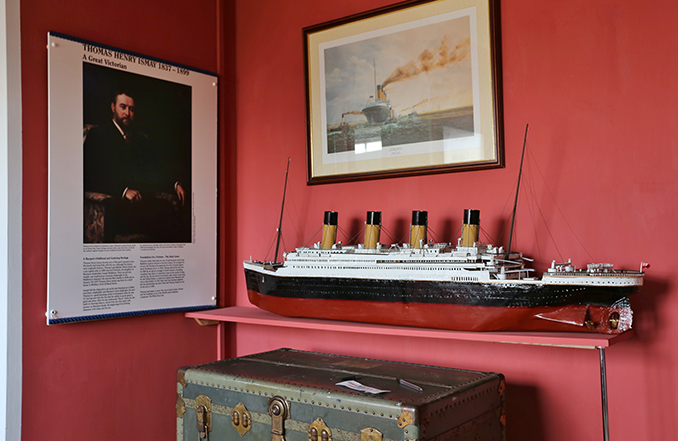 Other Maryport memorabilia on display include commemorative china and children's items, such as clogs, a doll's pram and toy furniture. This floor also features paintings by William Mitchell and Percy Kelly amongst others. For those unable to use the stairs, there is a virtual (video) tour of the first floor exhibits available in the ground floor reference library.